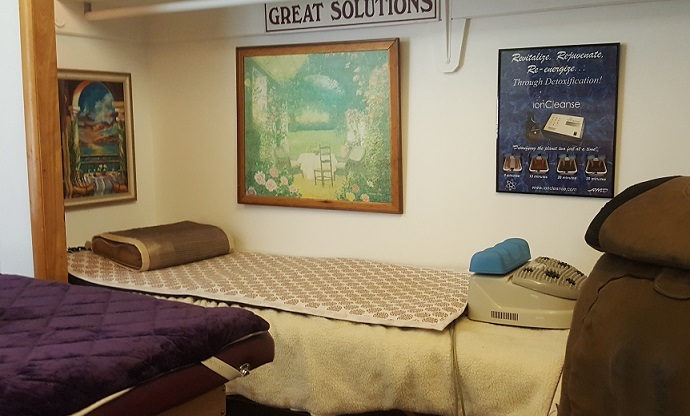 The Great Solutions Wellness Center is located in Salt Lake City, UT. We specialize in Fat Loss, Weight Loss, Detox, Circulation, Fitness, Muscle Recovery, Pain Relief, Light Therapy, Relaxation, Guided Meditation, Oxygen (EWOT), Ph Balance and the 9 laws of wellness. 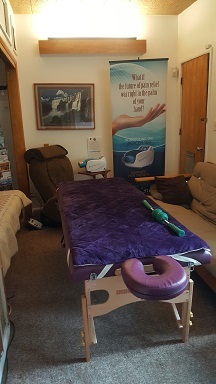 We use proven methods and devices to help relax and rejuvenate the body, mind and spirit using a holistic approach. Eliminating toxins is the first step in giving the body a chance to heal itself. Detoxification is fundamental to any health building program. Toxins are everywhere they come from: Our foods are sprayed with pesticides, our water has chlorine and flouride the air we breathe is polluted, our cleaning supplies, soaps, shampoos and detergents are loaded with chemicals and many have sodium laurel sulfate and is know to cause cancer. We are continually inhaling and assimilating residues from car exhaust, petrochemicals, pesticides, herbicides, heavy metals, second hand smoke and ingesting plastics from packaging and BPA’s. Our mercury fillings, lead, arsenic, aluminum, vaccinations that are given to us by the doctors and then we have our household adhesives, paints and other home products like plastic used in the microwave, tobacco, drugs all contribute to more toxins in our bodies that lead to disease, allergies, mental incapacitation with side effects like swelling, rashes, insomnia, headaches, fatigue and pain. Toxins that enter the body turn to acid which leads to acidosis and disease. We are living in the most polluted environment in Earth’s known history. Juicing, Herbs, Teas and Supplements can help flush toxins however most toxins are stored in your fat cells and accumulate over time such as mold, heavy metals like lead, nickel, cadmium, mercury, and aluminum, and with certain pharmaceuticals and drugs like THC and require additional cleansing methods. Moving the lymphatic system, circulation and sweating is a great combination to help eliminate toxins from the body. 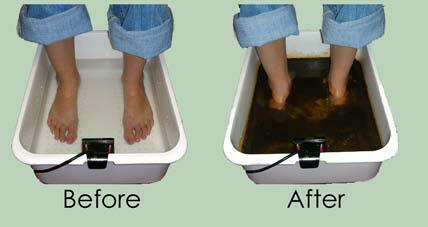 The Footbath purifies the body through the electrolysis of the water. Relax with your feet in water for about 30 minutes. Healthy individuals can expect to feel lighter and experience a greater sense of well being from each Footbath session. Enjoy in our massage chair during your session. The array is placed in warm water in a foot tub and a small amount of salt is added. The person's feet are then placed into the water and the control unit is turned on. These ions neutralize charged particles in the person's body. By neutralizing toxins in the body, the then heavy metals and other toxins can exit the body safely. Some of the toxins will exit the body via the feet (which have the largest pores in the human body) into the foot tub, while other toxins will exit the body through sweat, urine, and other natural body functions. 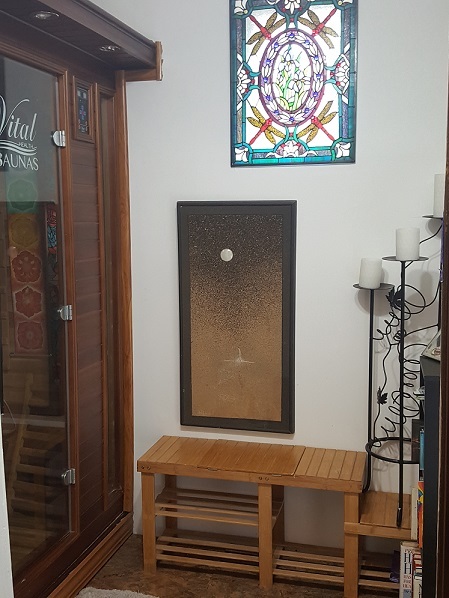 Vital Sauna - Cedar Full Spectrum low EMF Sauna including crystal infrared mats with Tourmaline and Amethyst Crystals, Essential Oil Aromatherapy, Chromotherapy Lighting, brain wave music, mp3 or radio Plus Magnetic Flux under the benches provide the ultimate sauna experience. 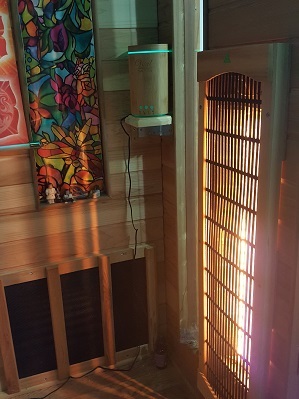 Lounge in our 5 person Carbon Sauna that includes a Full Spectrum Ceramic Halogen Heater and Chakra Meditation banner for the ultimate meditation session. 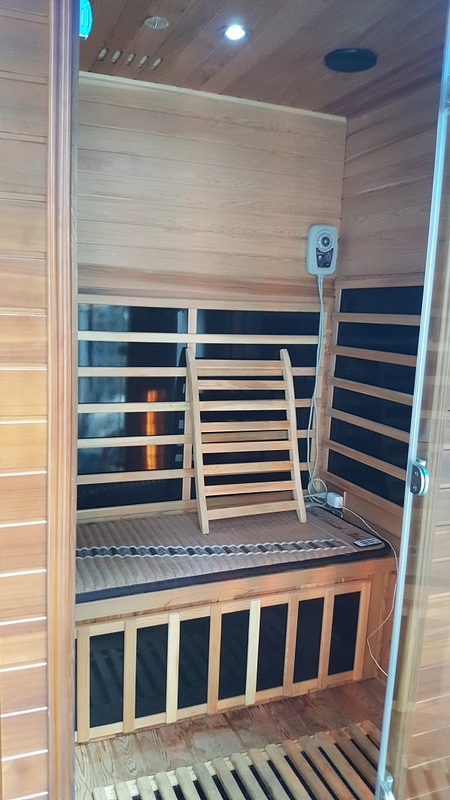 Heaters on the floor, under the bench, on the side walls, back wall and in the front of the sauna. 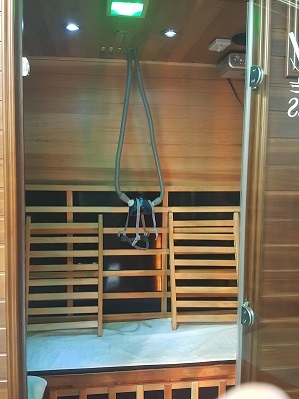 The Crystal mats on the benches give you the natural benefit of negative ions to enhance your sauna session. Having infrared heat under your legs or back help to help your core temperature faster and gives deeper penetration. The room L bench design allows you to have room to do Yoga Stretching during your sauna session while heating your legs. Sweating does more than cool you off. It also helps you get rid of both heavy metals and toxins in small but significant amounts. A 2012 review of 50 studies found that sweating removes lead, cadmium, arsenic, and mercury, especially in people with high heavy metal toxicity. Sweating also eliminates hormone-disrupting BPA’s that accumulate in your fat cells. 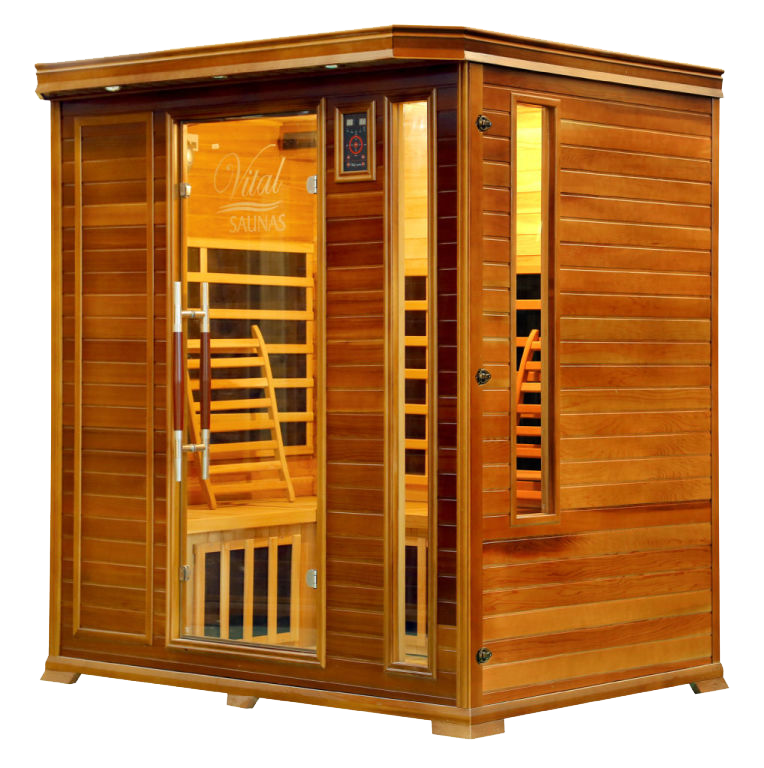 Far infrared saunas operate at 110° to 140° not like a health club sauna that go from 160 up to 180°. 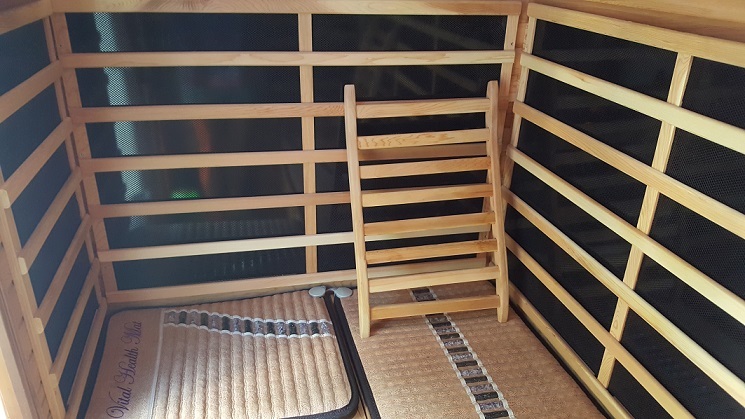 Infrared heats from the inside out and is more effective at eliminating toxins than traditional rocks saunas that make you sweat just because you are in a hot room. 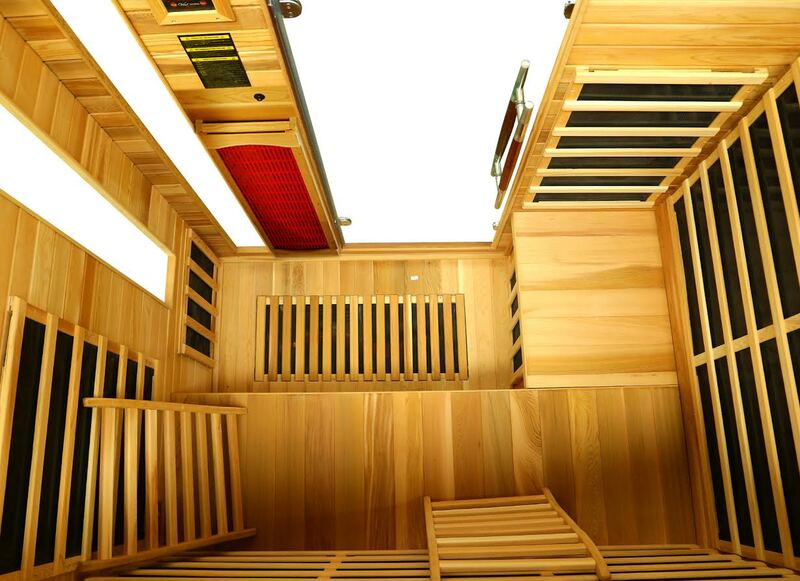 You can stay in longer in an infrared sauna because it is not as hot typically 20 to 40 minutes. 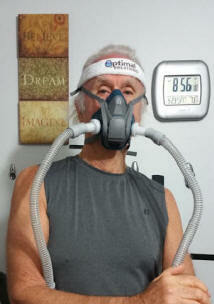 Ewot Mega Turbo flow mask and ewot reservoir included with sauna sessions. Exercise is another way to help you to sweat and lose fat. Exercise moves the lymph and increases lipolysis (the breakdown of fat tissue), and releases toxins stored in your fat tissue. Studies show that people who exercise and lose body fat end up with higher levels of circulating hormone disruptors. 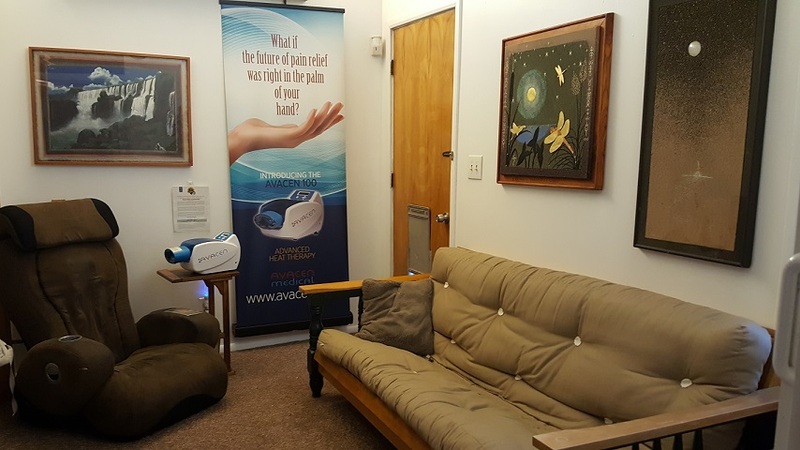 Powerful Red Light Body Pads to wrap your entire body in light while relaxing with the Brain Tap Guided Meditation incorporates advanced LED technology for the ears and eyes with programs specifically for laser lipo light sessions. Using the power of Light Therapy, our system is the natural and healthy way to lose inches around your waist, hips, thighs, arms, and chin. 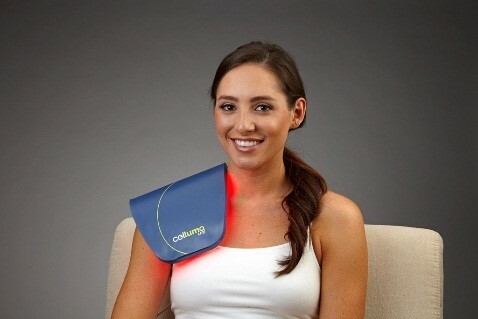 Whole body light therapy has no negative side effects, is completely safe. The treatment itself should be done 3 Threes times a week until the results you desire are achieved. The length of time is determined on whether the therapy itself is being used for pain or fat loss. The unique light emitted from our device causes the fat cell membranes to temporarily alter the permeability of the cell wall. This brief change allows some of the fat contents to seep out to where it can then be processed by the body. The process also increases collagen and elastin in the skin while creating a slimmer appearance. 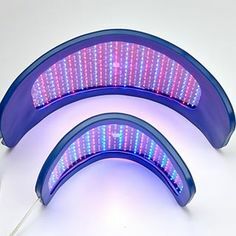 The Slim Sculpt LED Red Light System is designed for the medical and aesthetic market, specifically to address inch loss and body contouring in conjunction with a healthy lifestyle program. When recommended exercise was combined with proper diet and lifestyle many have reported dramatic inch loss. *During the clinical trial participants avoided all sugar, flour, bread, cereals, rice, pasta, and potatoes. They also began a modest aerobic exercise program for 30 minutes 5 times per week. Exercise, diet and moving the lymphatic system are necessary to success and optimal results. The program must include diet and exercise to maximize fat and inch loss. If the body is in Ketosis it will burn fat for fuel and can accelerate the process by avoiding carbs and sugar. The body wrap is 30 minutes followed by at least 10 minutes of exercise and must be done to move the lymphatic system. It takes several weeks for the body to process and eliminate the fat so it is important to be consistent and committed to obtain the desired results. 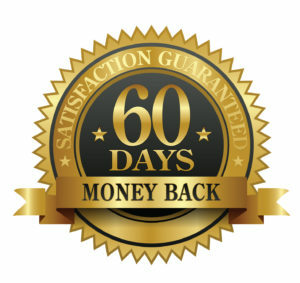 Many people continue to see results several weeks after completing the sessions. 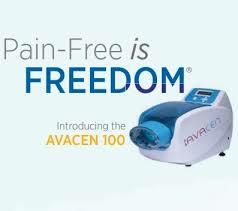 AVACEN - Advanced Vascular Circulation Enhancement. FDA Cleared 510K, OTC, Class II medical Device that is cleared for: "The temporary relief of minor muscle and joint pain and stiffness; the temporary relief of joint pain associated with arthritis, muscle spasms, minor strains and sprains; and muscle relaxation." No other claims are made or implied. Arthritis Pain Get the help you need to understand what causes it and what you can do to ease it. When joint cartilage wears away, bone rubs against bone, causing osteoarthritis. People with Rheumatoid Arthritis RA generally have inflammation that is generally what’s driving their pain. A rheumatologist can help manage their pain to get inflammation under control but if your RA inflammation is well managed and you are still having pain then there are other options available such as Advanced Heat Therapy and Vascular Circulation Enhancement. 1. 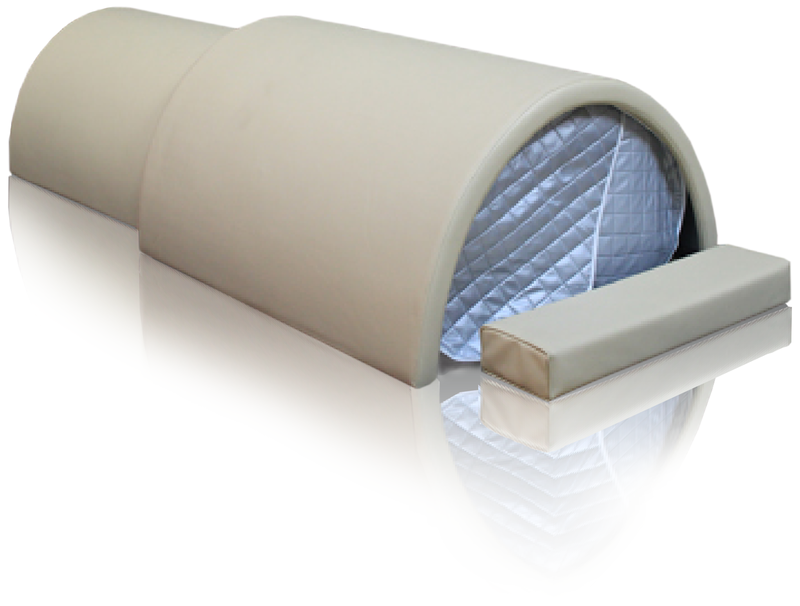 The Biomat Increases Circulation and increases tissue oxygen. Far infrared waves raise body temperature, warming the blood and expanding the blood vessels. There is an increase in peripheral blood flow and volume, resulting in improved circulation. The biomat eases joint pin, stiffness and minor muscular pain (where applied). 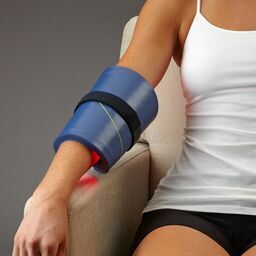 The deep heat of far infrared helps peripheral blood vessels dilate, bringing relief an healing to stiff muscles and eases joint pain associated with arthritis. 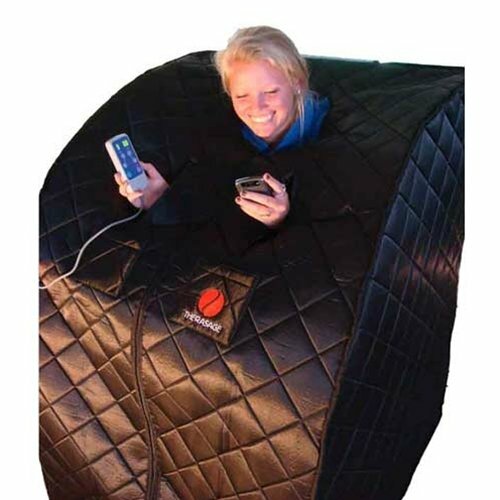 Far infrared heat therapy has been proven effective for temporary relief of pain for sprains, muscle spasms, joint stiffness, minor strains and muscular back pains. Use Resperate Biofeedback Breathing Device during your Biomat, Bemer or Chi Machine Session. 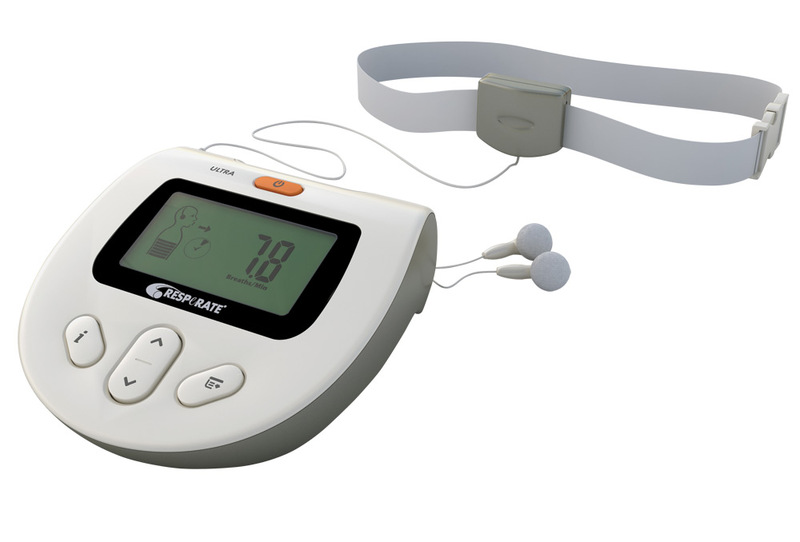 Resperate is the only FDA Cleared device clinically proven to lower blood pressure. 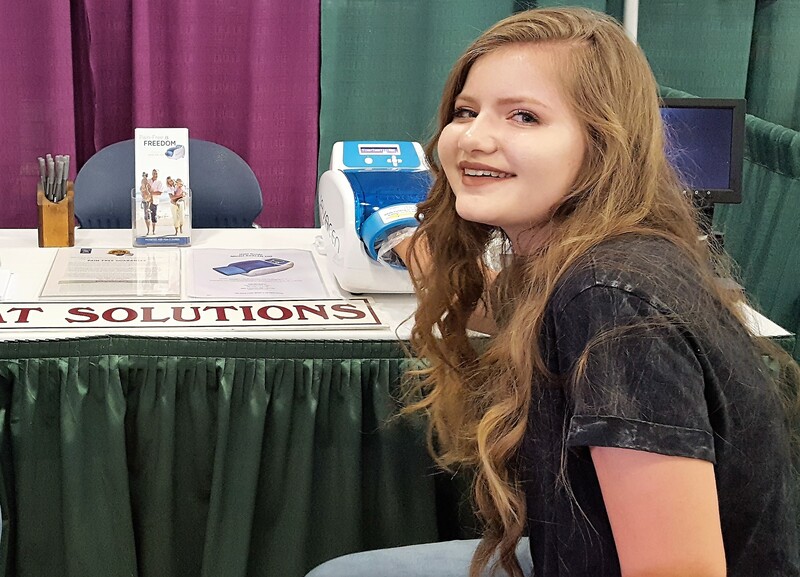 Resperate uses headphones and a sensor that goes around your chest with a breathing sensor that analyzes your breathing pattern and creates a personalized melody to help you breath in the therapeutic zone of less than 10 breaths per minute. The muscles around your small blood vessels relax and blood flows more freely and blood pressure is significantly reduced. 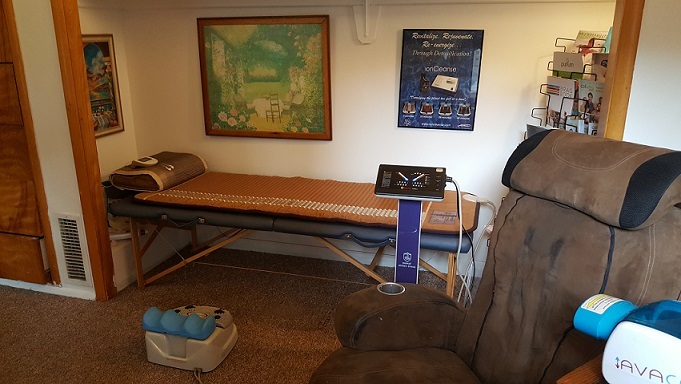 Simply relax for 15 minutes on your back with the Chi Machine. 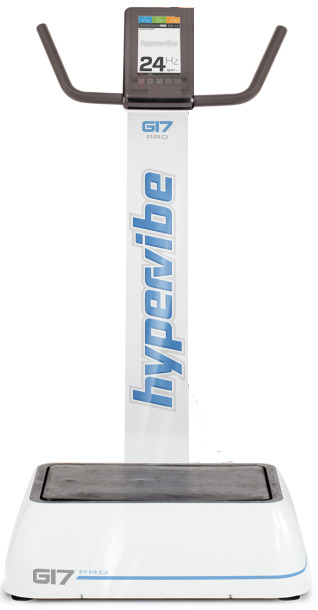 Supercharge your overall health and gently enhancing your lymphatic system and increase your oxygen levels and circulation)…Aerobic Exerciser, Shoulder Massager, Neck Massager, Foot Massager. *Optional - Enjoy a PEMF blanket or Farinfrared Biomat along with a Celluma Anti Aging or Acne Beauty session while using the chi machine. 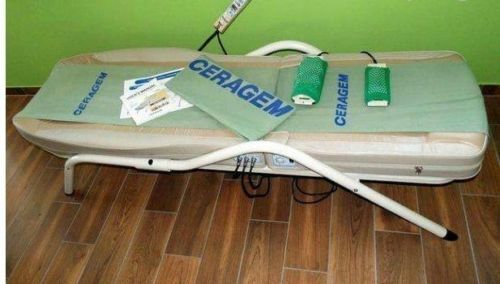 Ceragem is used to alleviate the stress and pain that accumulates in your body from everyday living by improving your blood circulation, loosening stiff muscles and easing joint pain. 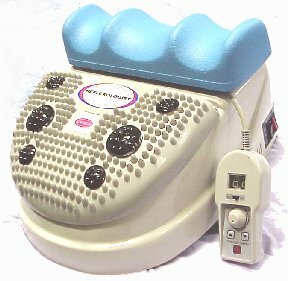 The revolutionary Ceragem Automatic Thermal Massage Bed with Jade Far infrared Rollers incorporates massage and pressure with radiant far infrared heat. CERAGEM alleviates the stress and pain that accumulates in your body from everyday living by improving your blood circulation, loosening stiff muscles and easing joint pain including aches associated with arthritis. Share this wonderful experience with your loved ones. Chiropractic is one of the advanced alternative medicine principles widely practiced in the United States, Canada, Australia, New Zealand & the United Kingdom. Chiropractic means practice done by hand to relieve compressed nerves by correcting the spinal alignment. A correctly aligned spine stimulates the system and allow the body to return to its natural rhythms. Massage is one of the oldest forms of therapy known to relieve pain, relax the muscles and stimulate the body. As we age, the natural curvature of the spine may become misaligned due to stress and bad posture. Massaging your spine regularly may help your back stay strong and durable. Moxibustion effect is a method utilizing heat derived from a mixture of herbs to stimulate pressure points, which promote the body’s ability to heal itself, increase blood circulation and provide relaxation. What is Light Therapy? 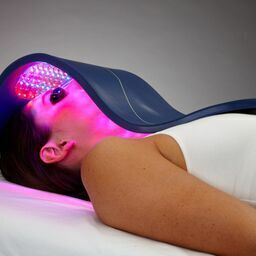 Light Emitting Diode (LED) photo therapy is the application of light energy to tissue to obtain therapeutic benefits. The energy is used to improve cellular performance. Photo therapy is known for its healing and anti-inflammatory properties and has a variety of applications across many medical fields. 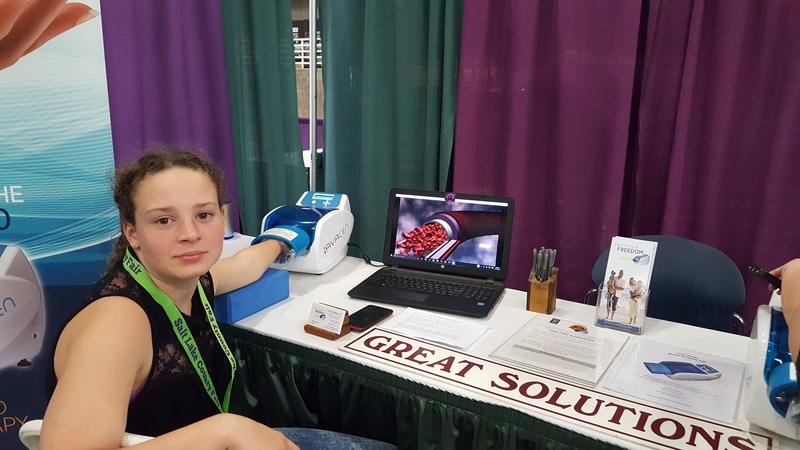 Research has shown that photo therapy can: increase circulation, accelerate tissue repair, decrease wrinkles, decrease inflammation, improve skin tone, texture and clarity, ease muscle and joint pain, stiffness, spasm and arthritis and kill acne bacteria, and much more. In just minutes a day, you can reduce the appearance of fine lines and wrinkles, while experiencing an improvement in skin texture, quality and smoothness. 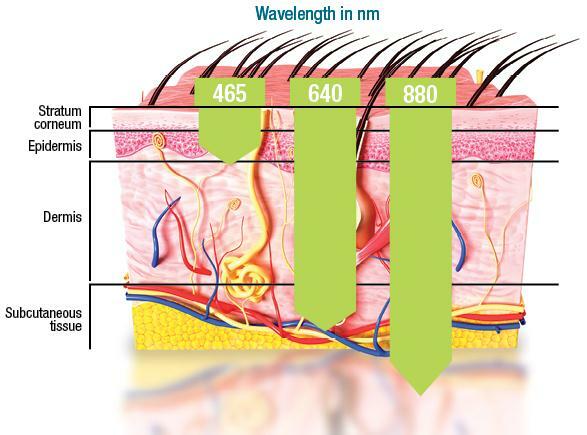 Using wavelengths that are scientifically proven to stimulate fibroblasts to increase collagen and elastin, Celluma’s low-level light therapy is a safe, effective and convenient way to achieve a healthy, youthful glow in a natural, non-toxic, non-invasive manner. 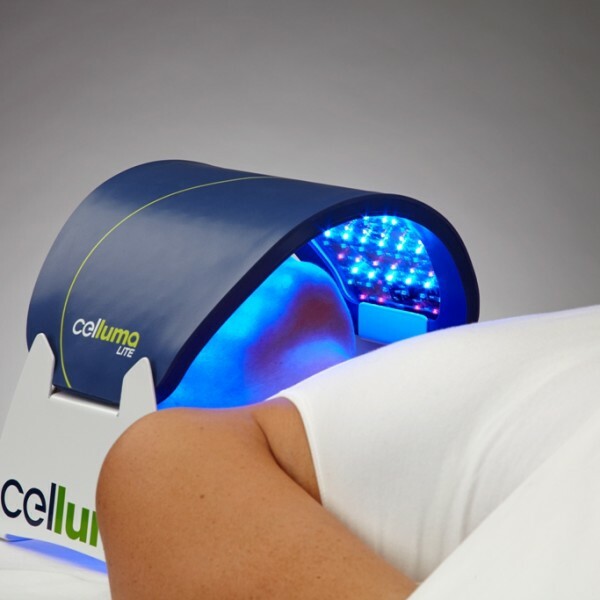 Celluma is an fda cleared led light panel for over the counter use for acne, wrinkles and pain relief. The Quantum Energy Pad Enhances the Body's Frequency with Far Infrared and Negative Ions - Included Free with every Massage. 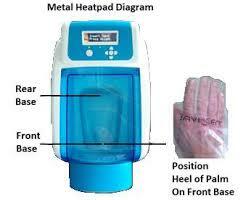 The Quantum Energy Pad uses raw materials, such as an organic compound extracted from peach and grape seeds. Peach and grape seeds happen to resonate at the optimum frequency of the human body. The seeds along with amethyst powder, creates a field that assists the body by promoting blood circulation. 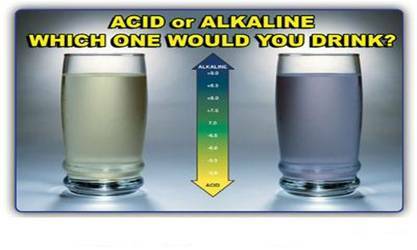 Alkaline Water and PH Balance Aging, degenerative diseases and pains can be caused by the accumulation of non-disposed acidic wastes. 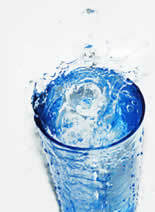 Alkaline Ionized water is the solution to neutralize these wastes and help the body eliminate them safely. 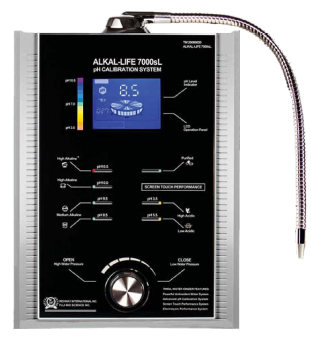 We provide clean, great tasting alkaline water that has been purified and ionized using the most advanced system in the world ~ the Alkal-life7000. This is a Private Membership Association and open only to Members - $10 Membership fee enrollment. A membership Agreement must be signed prior to any services. We reserve the right to deny services or Membership for any reason. New Client arrive 15 minutes before session. Major credit cards, Paypal or Zelle accepted. Menu Prices subject to change without notice. Appointment required in advance. 24 hour notice required for cancellations. If not, session will be charged on credit card for forfeited visit.